Microsoft boasted that Internet Explorer 9 was downloaded 2.35 million times, or 27 times per second, during its first 24 hours of availability this week. Microsoft has always loved to talk about how many copies of software it can move per second. Last year, Microsoft bragged about selling 7 copies of Windows 7 every second. By that measure, IE9 is moving almost four times as fast as Windows 7. The comparison isn't quite apples-to-apples because Windows 7 isn't free, and the Windows 7 sales figures were based on a much longer time period. But the IE9 downloads are impressive nonetheless, particularly given that the browser is available only on Vista and Windows 7, and most computers are still running Windows XP. The question is whether Microsoft can keep up the momentum. Internet Explorer is still the most widely used browser, but market share has slipped consistently in the past few years because of the growing popularity of Mozilla Firefox and Google Chrome. IE9 has been available in beta since September 2010, yet Internet Explorer's market share (all versions) declined from 59.62 per cent to 56.77 per cent in that time, according to Net Applications. The 2.35 million downloads aren't likely to change that figure much, given that people who downloaded the stable version of IE9 were likely upgrading from IE8 or the IE9 beta. But IE9 is a stronger browser than its predecessors and could help arrest the market shift from Microsoft's browser to Firefox and Chrome. IE9 introduces a stripped-down interface with more room for browsing, as well as new privacy features, pinned sites and jump lists for faster navigation, and enhanced support for HTML5. But Chrome has also upgraded with the 10th major version of its browser, and Firefox version 4.0 is on the verge of release. 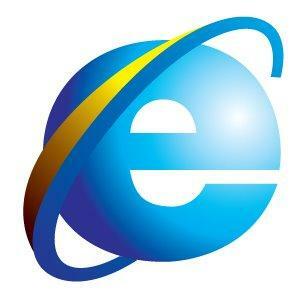 For his part, Microsoft official Ryan Gavin blogged about the early success of IE9. "We want to thank everyone around the world for downloading IE9 and the enthusiastic reception," he writes. "2.3 million downloads in 24 hours is over double the 1 million downloads we saw of the IE9 Beta and four times that of the IE9 RC [release candidate] over the same time period."